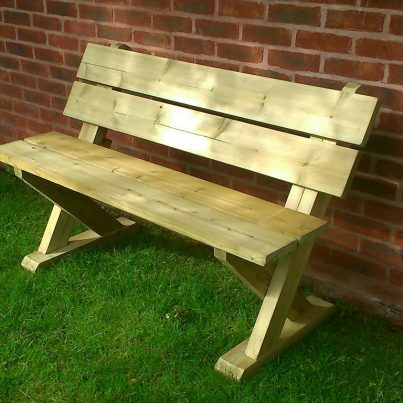 A beautiful premium product, our 3 seat bench with a sturdy roof, designed to create a long lasting and desirable outdoor seating area, with some protection from the elements. 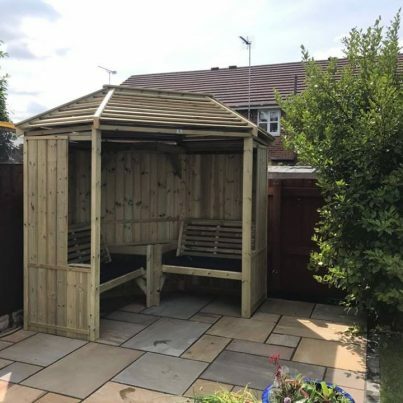 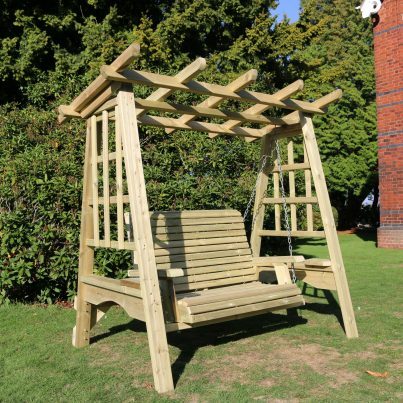 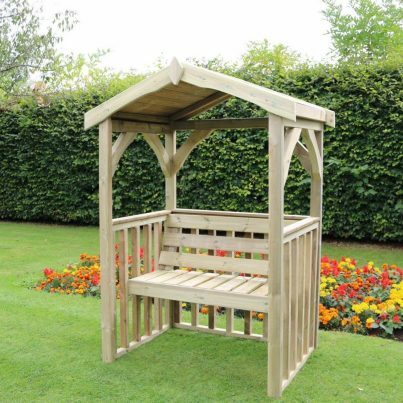 This garden arbour sits three adults most comfortably and is hand built with pride, ensuring you a strong and robust product. 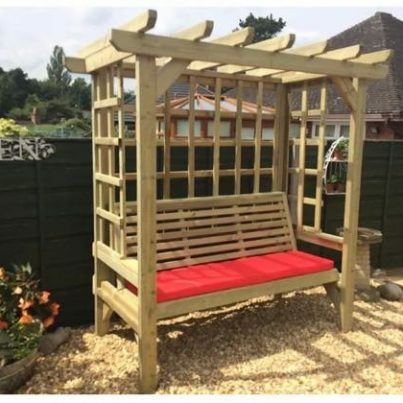 Not only will it allow you to sit in ultimate comfort, it will also create a most attractive addition to any garden or outdoor space. 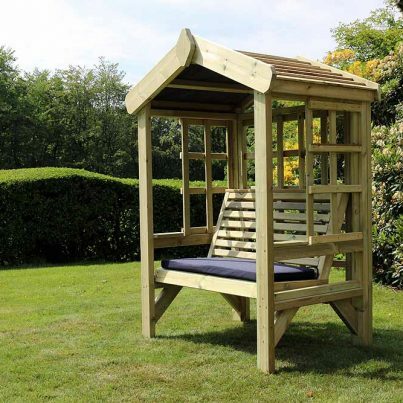 Offering you chance to use your outdoor space moor and utilise your precious leisure time in style and comfort. 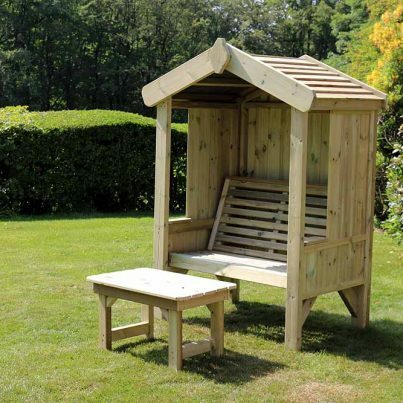 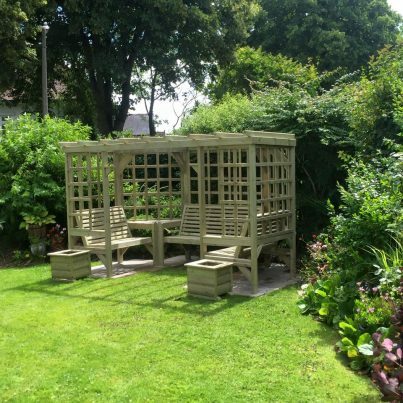 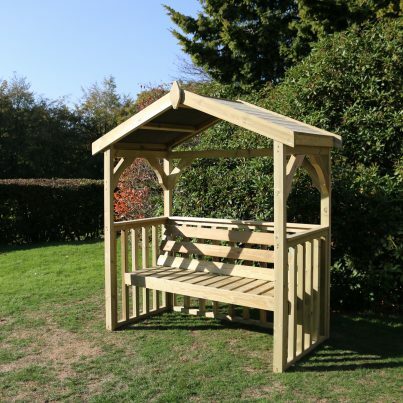 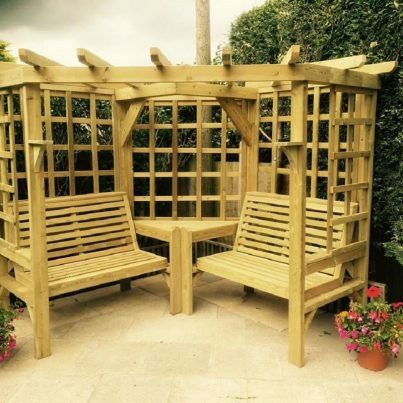 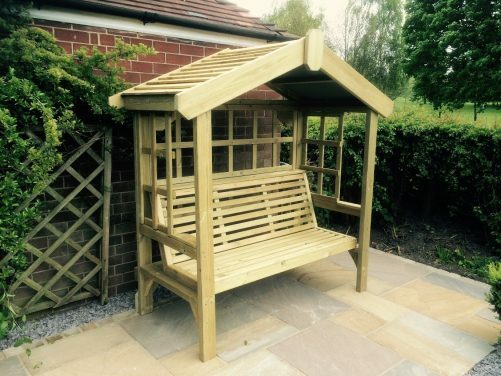 The pressure treated timber we use means you can leave your garden arbour safely outside year round. 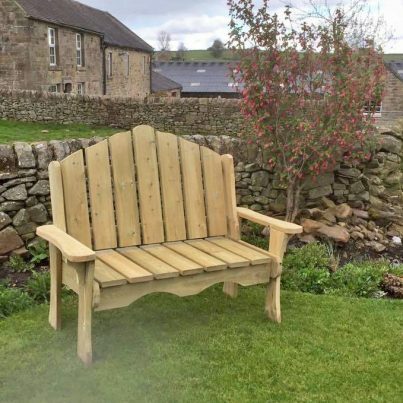 You can opt for a natural smooth grained wooden finish, or you can paint or stain it to your own taste if you wish. 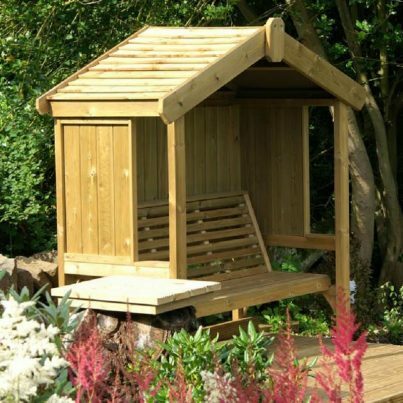 The pressure treatment removes the need for constant re treating. 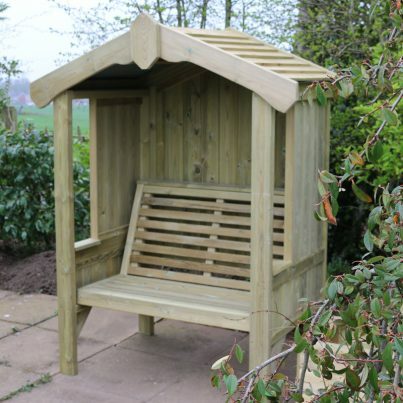 Add your own choice of soft furnishings and dressings, and make it your very own sanctuary in your garden. 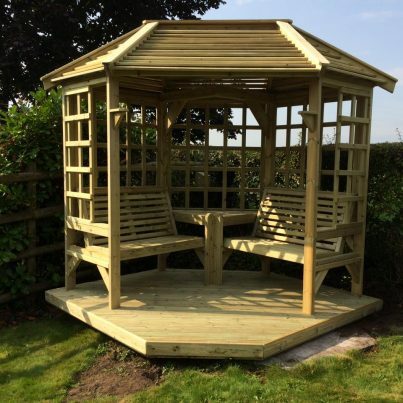 The solid roof allows protection from the sun and shelters you from the elements. 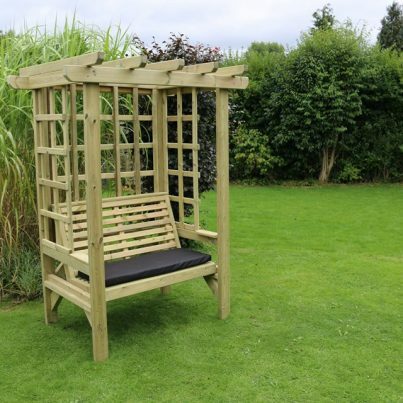 The trellis sides and back offer the choice of growing your favourite creeping vines and trailing plants through them. 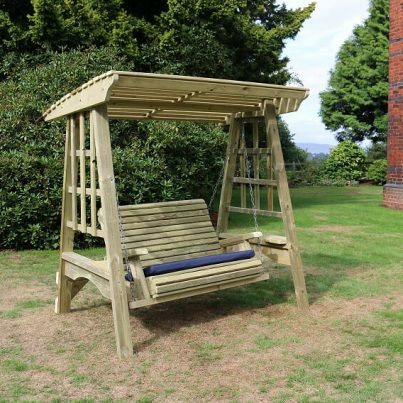 Stunning canopy covered garden swing. 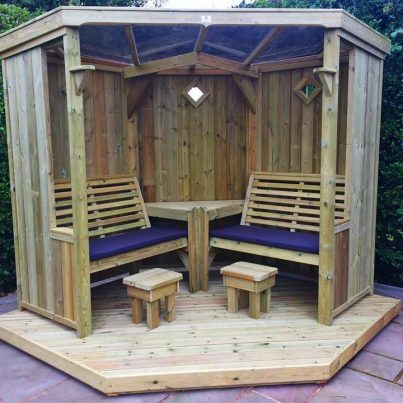 Beautiful covered outdoor seating for two.